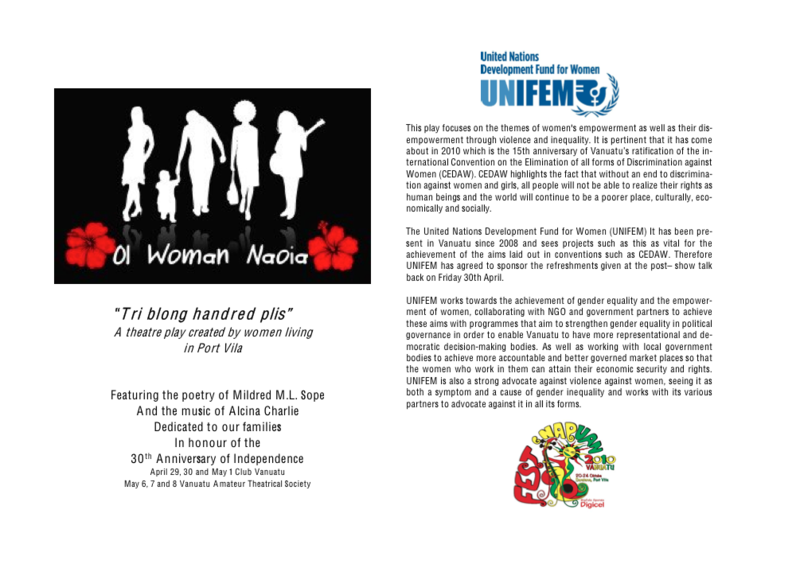 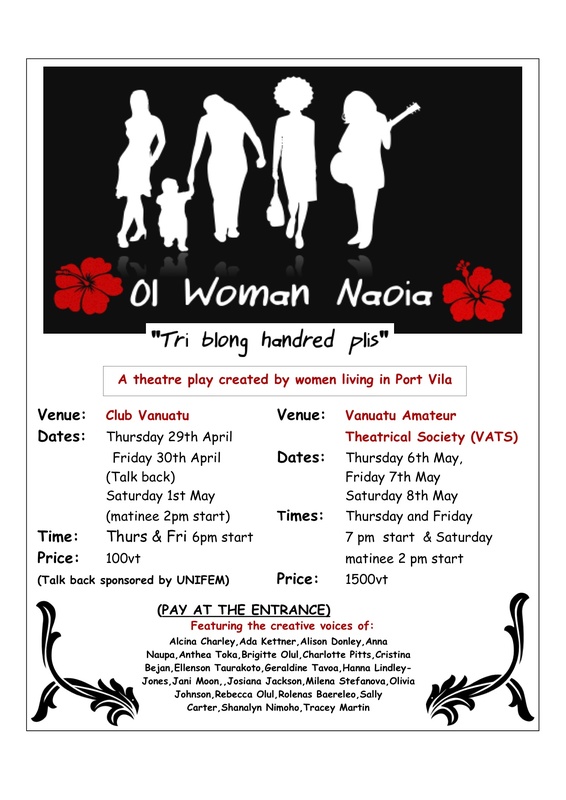 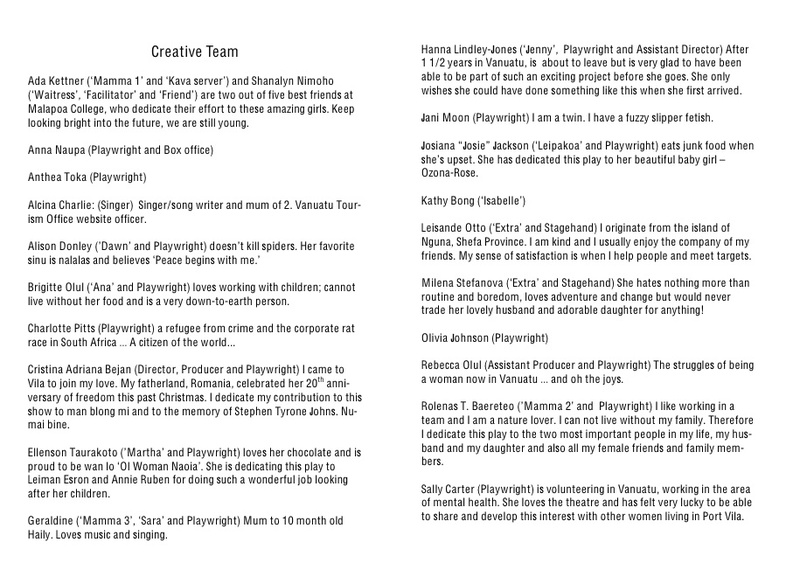 This is a blog about a very exciting theatre production that was written, directed and produced by women living in Port Vila, Vanuatu in the Spring of 2010. 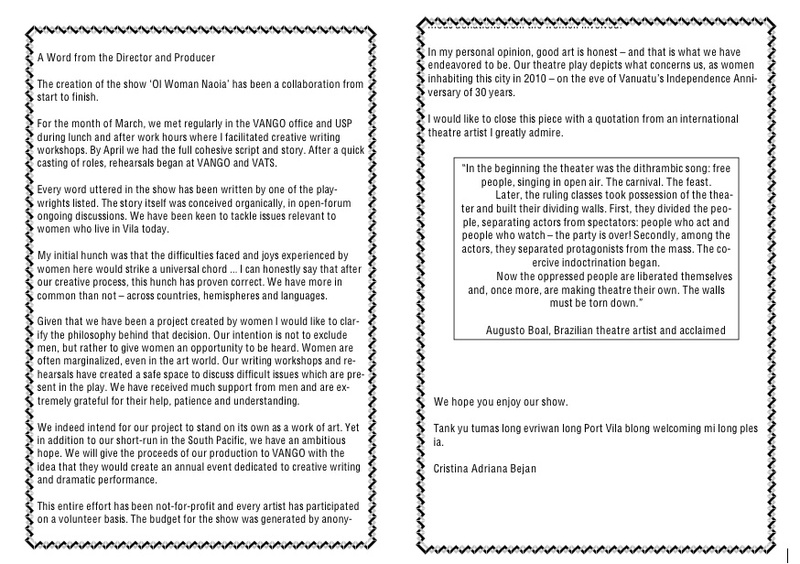 Here we will publish information about our production and hopefully encourage interest for future artistic endeavors in Vila and elsewhere in the realms of creative writing, women’s activism and exposure for minority voices. 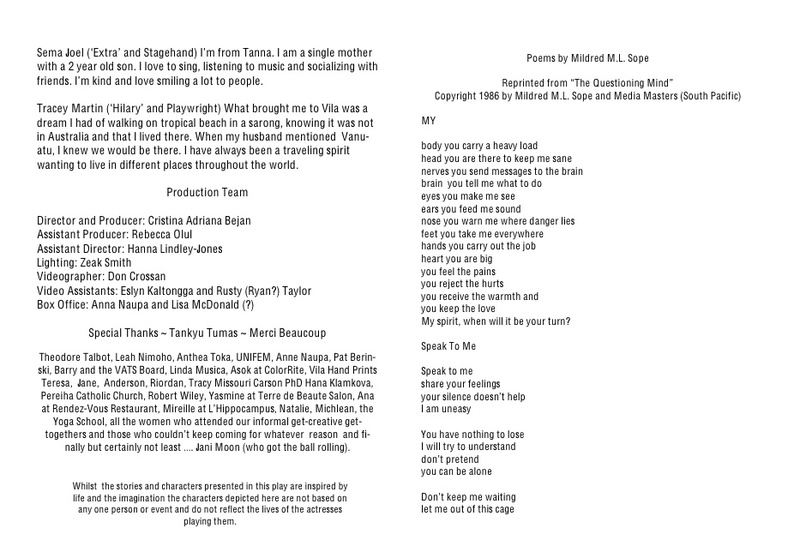 Lukim yu long plesia bakeken!